Caravaning is a great way to connect with nature and get away from the hustle and bustle of city life. However, for some people it can be just as hectic depending on the location you are heading to. 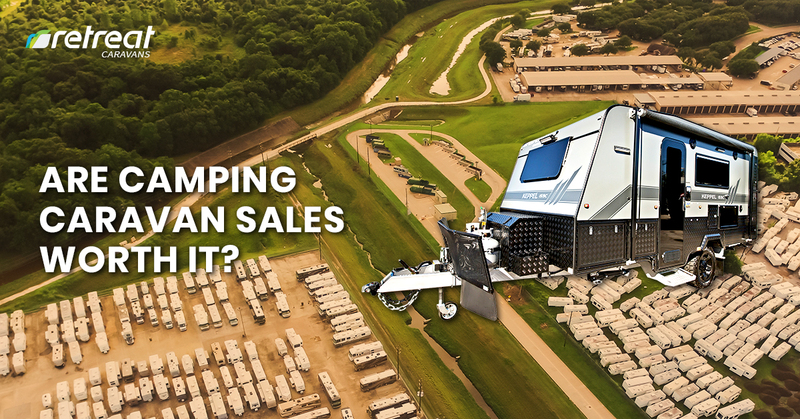 This is when you may start to ask yourself when you are looking at camping caravan sales whether or not off-road caravans are worth the cost or not? Well, now is time for you to explore and understand off-road caravans in more detail before making your purchasing decision. This is the first and most important question for you to answer. If you answer with a yes, then you are on your way to getting the right caravan. Off-road caravans allow you to stray from the beaten track which means you will be able to get away from the campgrounds and crowds of people who potentially encroach on your privacy while you are camping. Can My Vehicle Handle The Caravan? Since you are going off road you need to make sure your vehicle is set up properly for this type of caravan. At the same time, though, you need to make sure your vehicle is able to actually tow the caravan safely as well. This can be done by consulting with the manufacturer of your vehicle, dealer, or you can even flick through the owner’s manual to see what your vehicle is capable of doing. You will notice that there are several benefits to getting an off-road caravan when you are shopping around for one. Following are some of the benefits that you are sure to enjoy even if you are not planning on taking the caravan off-road at all. A larger frame is something that you will really enjoy. While you may think this is going to be a mute point, you will like the fact that the frame on these type of vans tend to be a little bit larger than the average caravan. This means you won’t need to worry about the frame bending or breaking on you while you are towing it. As these frames are meant to go off-roading, they are designed to be flexible and therefore need to bend according to the terrain without any permanent bending or damage occurring to the frame as a result. One of the major concerns, when you are pulling your caravan anywhere, is the fact that you can get some damage to the pipes when you are on the road. When this happens, you will find it is very difficult to get repairs made on the road. That is why off-road caravans typically have the pipes tucked into the frame to protect them from damage, this includes the wires as well. So you can go ahead and pull your caravan and not have to worry about pipes and wires getting damaged due to the protection they have in place. A major issue for some people when they are going on a caravan trip is finding the dishes and everything else spilled all over the place because the cabinets opened up while driving. Considering off-road caravans will be going all over different types of bumpy terrain, you will love the fact the cabinets lock closed. Since they lock closed, this means you will not have to worry about the dishes and other items falling out of the cabinets. This provides you with peace of mind everything inside the caravan will remain safe and intact. The higher level of suspension is something else that you should check out. When you look at this aspect you will find the suspension is usually a lot more sturdy than what you will find in some other caravans. This means they will take more punishment but not only that, your caravan will be more stable and will sit better making it more comfortable. Finding the best off-road caravans is easy to do. Understanding why you would want to choose an off-road caravan instead of the regular model is the challenge. Once you understand the differences and the benefits, you will see off-road caravans are worth it. This is where Retreat Caravans can assist you. 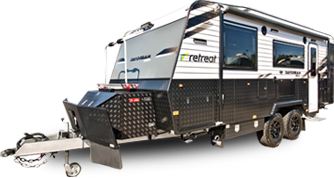 Check out Retreat Caravans to get the most comprehensive information you can find about off-road caravans. Here you can load up on all your camping supplies before you head out camping so that you can have the most enjoyable experience possible.